A power of attorney (POA) is normally issued to an individual, solicitor or lawyer so that they may conduct business or act on behalf of a UK company or person. This document can be legalised by attaching an apostille certificate to the power of attorney. If you are planning on doing business overseas, importing or exporting, opening bank accounts, applying for VAT in another country etc. then we can assist you with getting your power of attorney legalised. We can legalise all types of power of attorneys whether general or special. 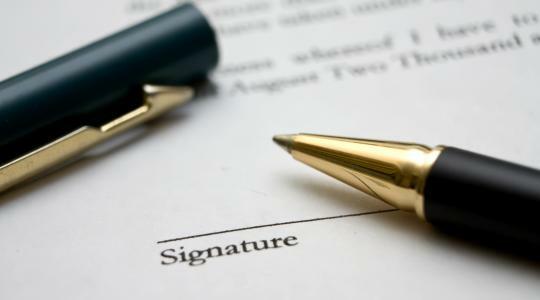 The documents should be signed by the relevant officers of the company or the individual that is issuing it. You should read the wording on your POA as it may be necessary to have a solicitor or notary public witness your signature. This is not always the case so we advise that you check the wording on your document. If your POA simply needs to be certified by a solicitor then we can assist you with this. If your document needs to be witnessed then you should contact a solicitor or notary public locally before sending us the document. If in doubt please contact our office. We will be pleased to provide free advice on any document that you may require legalising.